Ginny LaForme and Matt Mahoney embark on yet another climb in Nolan's 14. Photo by John Robinson. Leadville winner Steve Peterson running down from Hagerman Pass, approaching the May Queen checkpoint. Photo by Steve Peterson. Emma Davies at Western States 100 Mile. Photo by David Gaines, Facchino Photography. Courtney Campbell, winner of the Massanutten Mountain Trail 100 Mile. Photo courtesy of Edwin Demoney. Cary Knross-Wright and Holly MacSweeny, both from North Carolina, at the Umstead 50-Mile. Photo by Blake Norwood. 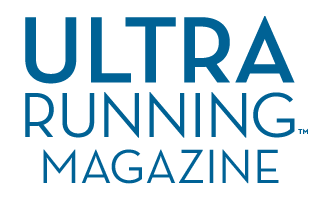 The previous 25 issues of UltraRunning Magazine. 20 year anniversary. The Jordan Desert Cup. Photo courtesy of Alicja Barahona.